Delivery drivers get a bad rap. When a package gets damaged or stolen, it’s often the driver who gets the blame. Without a secure parcel mailbox, there’s only so much couriers can do to protect a parcel from theft. But that hasn’t stopped them from finding a way. 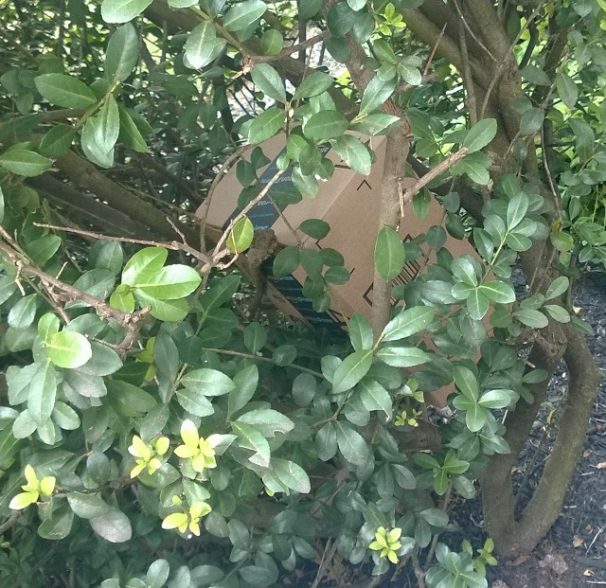 We can’t help but be impressed by the ways these creative couriers went the extra mile to protect parcels from theft. When Vanessa O’Shea purchased this cheeky doormat for her Texas home, she didn’t expect anyone to take it seriously. So she was more than pleased when one Amazon courier did just as instructed and stuffed the parcel out of sight behind a porch chair. 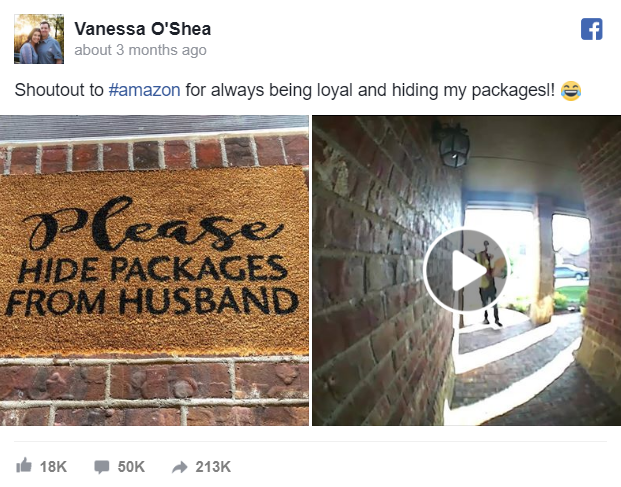 The moment, captured by a porch security camera, instantly made headlines (and raised the bar for delivery drivers) across the country. Vanessa even met the courier later to thank him personally. Admit it: when you scrolled past this image, you saw a bench with three pillows. Call it ridiculous or call it brilliant. Either way, this driver was thinking out of the box when they concealed a lumpy, square package between lumpy, square pillows. The illusion is impressive for something a courier cooked up on the fly. Reddit is a treasure trove of parcel delivery stories both good and bad, but this particular tale falls on the positive side of the coin. 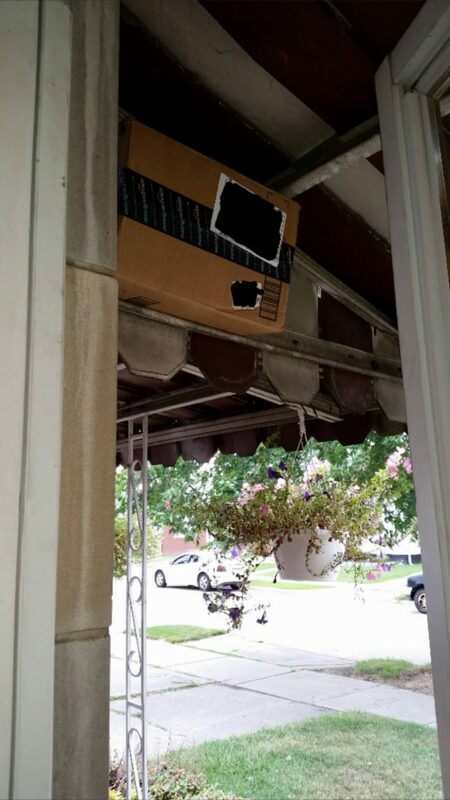 Turns out the driver had wedged the parcel between the bars of a porch awning, out of sight and out of mind for any potential package thieves. Simple and effective. “I don’t live in a great neighborhood,” wrote Redditor sashlingingslasher. 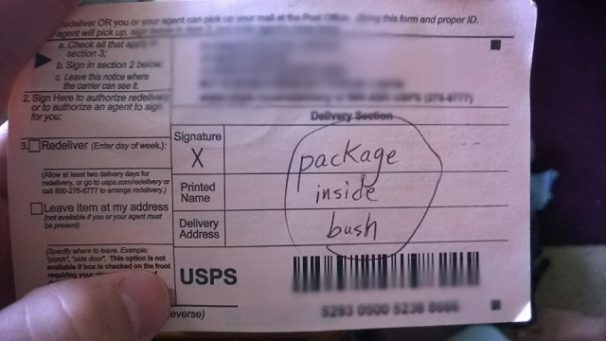 The United States postal worker who serviced the area seemed to concur. 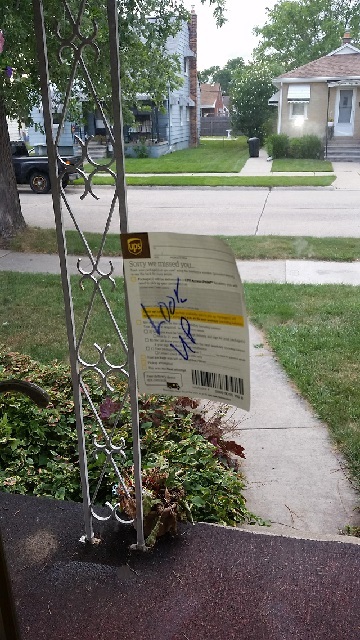 At least, they weren’t willing to take a chance and leave a parcel unattended. But this house didn’t have a sneaky porch chair, nor conveniently-sized couch pillows. What to do? It’s a bit bush league, but it works. In an interview with Mental Floss, a delivery driver named James explains the steps he and other drivers take when leaving any parcel unattended. If the address or neighbourhood seems unsafe, he’ll opt to leave a delivery notice instead. Otherwise, he does his best to keep the delivery as discreet as possible. Another driver says he was trained to keep an eye out and make sure his truck isn’t being followed. Some thieves, he explains, are known to tail delivery drivers and grab parcels as they’re dropped off. Given the reality of parcel theft, it’s reassuring to know companies are incorporating anti-theft measures into training. Drivers and customers shouldn’t have to take extraordinary measures to protect parcels from theft. 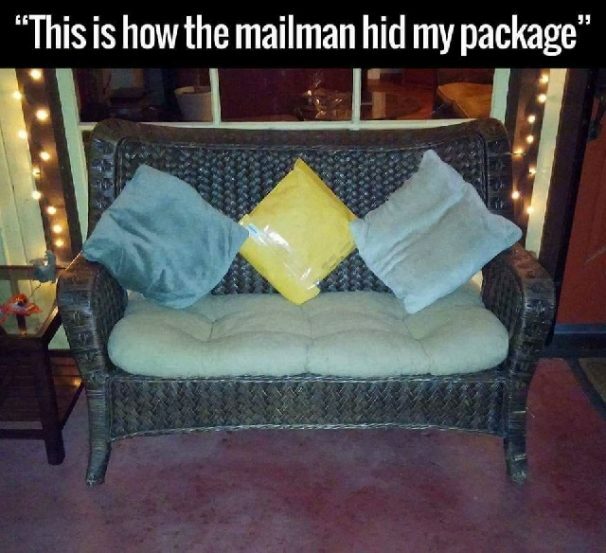 That’s why we developed a secure, theftproof parcel mailbox that guards your online deliveries until you’re home. Unlike the bush, it doesn’t require watering.